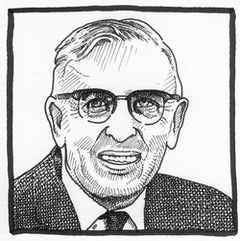 Clifford Donald Simak (* August 3, 1904 in Milville, Wisconsin, USA / † April 25, 1988 in Minneapolis, Minnesota, USA) was a journalist and a science fiction writer. Simak was considered as one of the “Grandmasters” of science fiction and he was honoured several times with awards for his contribution to science fiction literature. Clifford D. Simak wrote continuously science fiction and fantasy for over 55 years (only few other writers worked as long as he did). 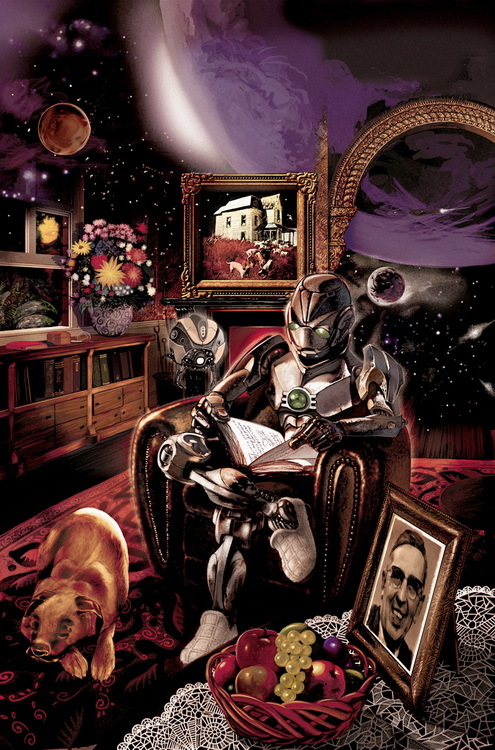 He never was such a prolific writer like Isak Asimov or Robert Silverberg. Anyhow he managed to publish in these 55 years 28 novels and more than 120 short stories in the genres science fiction and fantasy – and that avocational until his retirement in 1976. He earned his living as a reporter and editor of big newspapers in the American middle west. There was a time when Simak was considered as one of the most valued SF-writers and there was hardly any standard literature on the history of science fiction which has not dedicate him a separate paragraph or even an own chapter even though he was never in fashion. He stood mostly in the shadow of his more famous colleagues. Clifford D. Simak developed over these years his own style which made his work distinctive. This style consists of a skilled combination of typical SF-elements (time machines, inter dimensional doors, Psi-abilities) with ordinary people and locations of the present, especially middle american small towns like for example Milville in Wisconsin, where Simak was born and grew up. His short stories and novels tell mostly about “ordinary people”, farmers or small town habitants who unexpected get into situations which are unclear at the beginning. 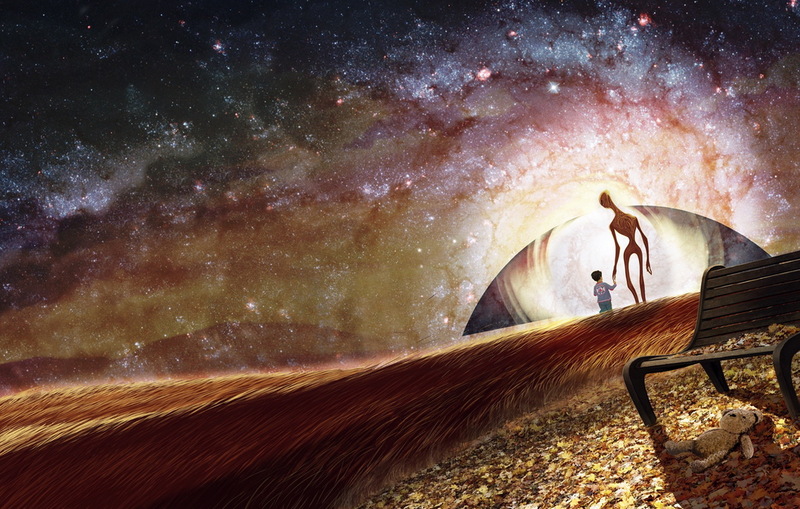 Often this people open a door, a door to other dimensions or times. Simaks humanity and his subtle humour are typical characteristics of his novels and stories. Despite there are space ships, robots and other genre typical devices of science fiction, he was never much interested how these technical devices are working. For him they were just instruments for the purpose to tell (mostly) good stories. "There was a time when Simak was everyone's favourite author. A Simak story was unmistakable. When everyone else appeared to be describing big tough heroes going out and giving alien races what-for, Simak would tell you about this little old Earth man sitting on his verandah, whittling a stick when up comes this green guy. The green guy has a funny big machine come down out of the skies. The two of them get to talking, and the little old Earth man takes a can of oil and fixes the green man's funny big machine, and in exchange this green guy makes the little old Earth man's crops grow a durn sight better'n his neighbour's ever do." 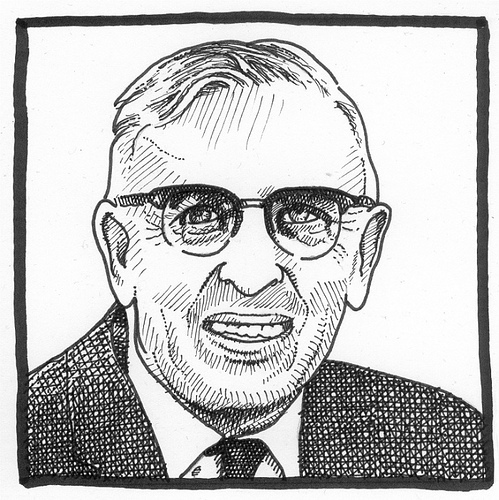 Today, just 25 years after his death, Clifford D. Simak is nearly forgotten. This web site shall contribute in keeping the memory of Clifford D. Simak alive. Philippe Gady and the publishing house Le Bélial' for the permission to use the cover picture of the book „Frères lointains“ as the banner for the website and for the provision of the cover picture of the magazine Bifrost N° 22. The community of the Clifford Simak Fan Group, from whom I learned that there are still people who have not forgotten Clifford D. Simak. This bibliography is dedicated to them. Phil Stephensen-Payne for his pioneer work in the field of bibliographies but as well for his contribution to SF-Magazine and especially to Clifford D. Simak. Scott Henderson for his excellent site The Science Fiction Short Stories of Clifford D. Simak, a complete list of English-language stories. The bloggers, amateur bibliographers and website-authors around the world (see also the site „Sources“) and also countless ebay- and Amazon-clients, which provided me with informations which are combined here.